At the George Dunne National! Kurt has been working in the golf industry for over 20 years. Kurt is PGA certified in Player Development and & Teaching and Coaching. Along the way he has worked at both private and public courses as an Assistant Professional, Head Professional, Director of Golf, and Instructor. Kurt is a local south suburbanite, having gone to High School at Oak Forest, Junior College at Moraine Valley CC, and finishing up at Southern Illinois University at Carbondale where he earned his degree in Psychology. "The teaching style that I have cultivated during my time around the game can be described as fundamentally driven with an emphasis on giving the student the knowledge and understanding of the HOW and WHY with regards to their own swing. The goal of hitting the ball better with the result being lower scores and having more fun are the obvious end game, however, I want my students to know enough about their own swing so that they can self- correct while on the golf course. To me that is the sign of a good teacher/student relationship. So come on out and schedule a lesson and let’s have some fun and make this the best golfing year you’ve ever had." Group Programs at George Dunne - Click Below! These Group classes will meet four weeks on Mondays, Tuesdays, and Thursdays from 10:30 am to 12 pm. If you can not commit to all 4 days that's fine just come out to the ones you can make. If you have always wanted to learn the game then this is the perfect class for you. Kurt Uniek, our PGA Teaching Professional will introduce you to the fundamentals necassary to enjoy the game of golf. Kurt will cover the basic fundamentals of the iron swing, driver swing, chipping and putting. During our last week we will get out to the course for a few holes. 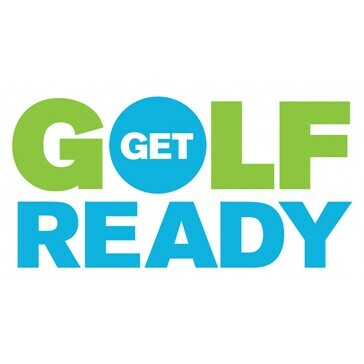 This Get Golf Ready 3.0 class is designed for men and women golfers that have experience on the golf course, or as a continuation from the 2.0 class. The design of this class will have us going out on the course for all (5) sessions. The areas of focus will include but not be limited to course management, trouble shots, greenside shots, putting, and tee shot strategy. If you have never played golf before or have limited experience, and you are interested in learning a game that will last you a lifetime then this is the program for you. Kurt Uniek, our PGA Teaching Professional will take you through the basic fundamentals of hitting irons, driver swing, chipping and putting. Our final week will include going onto the course for a few holes. This Golf Fore Women 3.0 class is designed for women golfers that have experience on the golf course, or as a continuation from the 2.0 class. The design of this class will have us going out on the course for all (5) sessions. The areas of focus will include but not be limited to course management, trouble shots, greenside shots, putting, and tee shot strategy. If your son or daughter has a desire to learn the game of golf, then here is the perfect opportunity. We will introduce them to the game through fun and informative contests, drills and practice methods in putting, short game, and full swing. The game at this stage has to be fun for the junior and we will take every step necessary to make this class an enjoyable learning experience. Age guideline 7-13 yrs. Range ➔ Free Bucket of Balls Everyday! 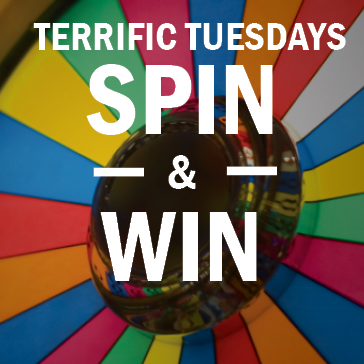 Golf ➔ Free Round after 3pm Everyday! Program not valid with PPP Membership. Must have paying adult. Offer for 3 or less children;ages 17 and under. Max 2 riders per golf cart. Must be 18 years of age or older to drive a golf cart. PGA JLG is designed to bring a “Little League” atmosphere to the game of golf. With teams of boys and girls, age 13 and under, PGA JLG provides a structured league environment for young golfers to compete and have fun! This is a great way to get, and keep, kids involved in the game! Our mission is to create a safe and fun team environment for all levels of junior golfers and through golf and the competitive format teach sportsmanship and valuable life skills. 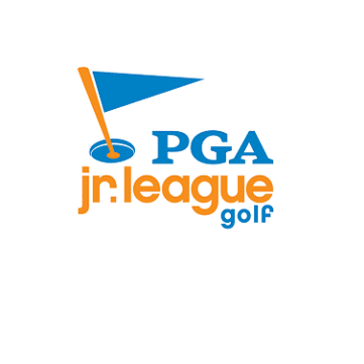 George Dunne National's 2019 PGA Junior League season will run from the end of May to the end of July. During that time our team(s) will complete in matches against other local golf courses and have several team practices. The days of the matches are typically either Saturday or Sunday late afternoon. These camps are designed to immerse your Junior golfer into the game of golf in a Fun and Safe environment. A wide range of topics will be covered, but not limited to, full swing fundamentals, short game, course management, rules, and etiquette. 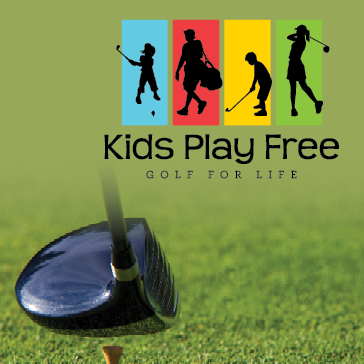 Games, drills, and 9 holes of golf will be used to keep your junior interested throughout! Lunch will be provided to all Full day participants every day, and water breaks will be provided as needed for All participants. If your junior has a real enthusiasm for the game of golf then this is the program for them. Age guideline is 6-13 yrs. Half Day Camps are designed for Juniors (ages 6 - 13) to receive instruction on all aspects of the game: full-swing, chipping, putting and pitch shots: along with learning the rules, terms and etiquette of the game, and beginners or juniors still working on improving their golf skills. 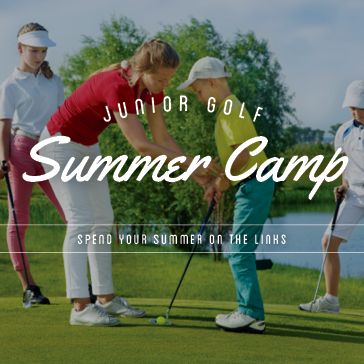 These camps are designed to immerse your Junior golfer into the game of golf in a Fun and Safe environment. Water breaks will be provided as needed for All participants. If your junior has a real enthusiasm for the game of golf then this is the program for them. Age guideline is 6-13 yrs. I believe there is a profound difference between Teaching & Coaching. Coaching takes a holistic approach to the game of golf where the Coach develops a relationship with the student to understand their strengths and weaknesses and how the student will react and perform in different situations. The coaching program takes great commitment from both student & teacher. This program is designed as an advanced, coaching program for golfers that are ready to take their game into competition, play in tournaments or are looking for a long term game improvement plan. Kurt Uniek, PGA Player Development Manager has over 20 years of experience working with all levels of players. I draw on my experience from playing in High School, College, as an Amateur and Professionally. Couple this with my degree in Psychology, I have, in my opinion the perfect skill set to guide students down the road of competitive golf. 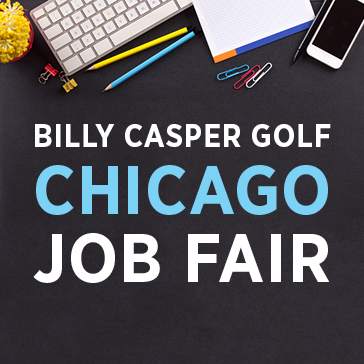 Call 708.557.6522 or Email kuniek@billycaspergolf.com, or Register in person with Kurt at George Dunne Nation. Class Size Will Be Limited to 5 pairs. Class Will Be Taught By Kurt Uniek, PGA Player Development Manager. Class will last 5 weeks. We will cover irons, driver, chipping and putting. The last session will be on course playing a few holes, alternate shot style. Spring Play Day is May 25th (5-7pm). Fall Play Day is October 6th (4-6pm). One child per parent. Child ages 14 and under. If you want the focus and concentration that a one-on-one learning experience can deliver, an individual lesson is perfect for you. Kurt Uniek, our experienced PGA Teaching Professional offers private lessons, in both 30-minute and 60-minute one time sessions, or in a series of three, five, or ten one-hour sessions, which provide value to the student looking to commit to improvement. Click here to schedule a private lesson with Kurt Uniek at George Dunne National. Corporate Instruction - Team Building! Kurt Uniek, our double certified Class A PGA Golf Professional, will guide you through the basic fundamentals of golf. He will provide stations for full swing, short game and putting. Clinics can run from one to three hours and can be adapted to golfers of all ability levels. You can also include lunch and 9 holes of golf for a more complete day at the course. In addition to our on-site clinics here at George Dunne National, Kurt can also come to you. Kurt will pack up his pop-up net and V1 swing analysis software and be able to conduct demonstration clinics and individual lessons for golfers of all ability levels. 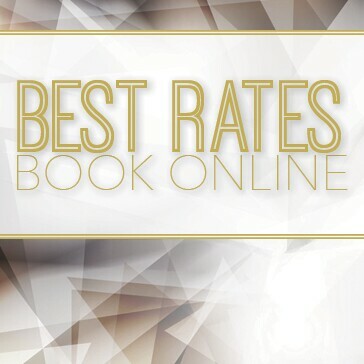 Public + Cardholder Seniors Specials Are Back! 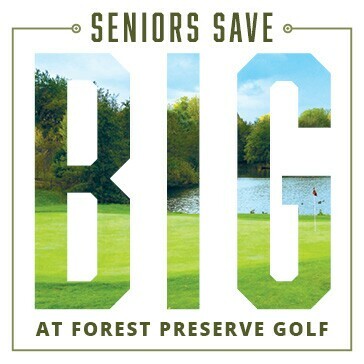 Learn more about how you can save on golf!